Fixed Deposit Accounts Unsafe in Kenya: A shocking report that appears in a Kenyan newspaper has detailed how some Sh. 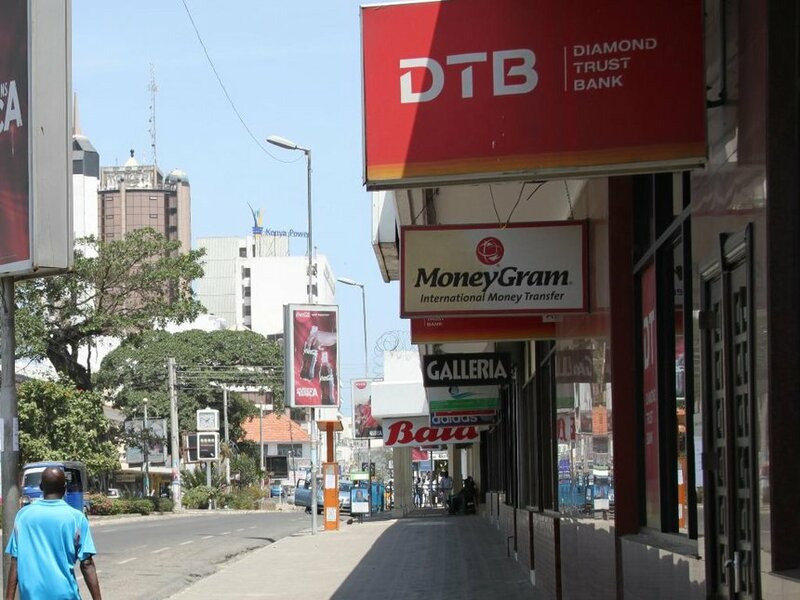 150 million mysteriously disappeared from a fixed deposit account at the Diamond Trust Bank (DBT). The report comes in the wake of shocking revealtions in Kenya on how money is being siphoned from customers’ bank accounts without customer knowledge or approval. In some cases, this blatant theft is being facilitated by bank employees. The report in the Standard Newspaper says that a South Korean investor has sued a local bank for liquidating and withdrawing Sh. 150 million in two fixed deposit accounts without her approval using forged documents. “The investor, Sun Pil Lim, who is the wife of the President of Safari Park Hotel and Casino, Young K Roh, has filed two cases against Diamond Trust Bank Kenya Limited, demanding her money back. In the first case, Sun who is the chairperson of Daehan Pharmaceutical Limited, lodged a case at the High Court’s Commercial and Admiralty Division on September 14, seeking to recover the Sh.100 million it had put in a fixed deposit. Ms. Sun, who is represented by Muriungi and Company advocates, says she incorporated Daehan Pharmaceutical Limited on October 29, 2015, together with three other directors, Lee Jong Chan, Jang Jongmin and Jolly Jeminah Lanji Ouko. The company was supposed to import drugs and other medical devices from Korea and sell them in the country,” the report in the Standard says. “After incorporation, the company opened an account with DTB, Thika Road Mall branch, on May 19, 2015 and wired Sh100 million on October 24, 2015, with instructions that the money be put in a fixed deposit account after being promised an interest of 16 per cent. On October 28, 2015, the bank issued three certificates of deposits for the cash, which had been deposited in tranches of Sh40 million and two others of Sh30 million each. “The terms of the certificate of deposit issued by the defendant were the deposit was in Kenya shillings, interest rate was 16 per cent and maturity date was 23rd day of October 2016,” reads the plaint. This account was to be operated by two directors who had to sign all documents, including cheques. At the same time, Sun opened another account in her name where she was the singular signatory and deposited Sh50 million in a fixed deposit account and was issued with two certificates of deposits on October 28, 2015 and November 5, 2015. She says when Daehan Pharmaceutical Limited board inquired about the state of the account in December 2017, the manager of Thika Road Mall became “evasive, misleading and deceptive”. In the meantime, Lee, who was a director and had been tasked by the board to follow up the matter, confessed to Sun’s husband that he had conspired with the manager to withdraw the money from fixed deposit accounts. After failing to get any information from the bank, Sun filed miscellaneous application number 9 of 2018 in court and secured orders compelling the bank to produce all documents relating to the account. When the documents were ultimately provided, the investor realised the Sh. 100 million in fixed deposit had been liquidated and withdrawn using her forged signature as she was supposed to be one of the two signatories. The money, according to documents she has filed in court, was withdrawn between March 10, 2016 and December 4, 2017 using 157 cheques in what took a total of 146 transactions to clear the entire Sh.100 million. She claims one of the directors, Lee, forged her signature and conspired with the bank manager to liquidate the account and share the money. To facilitate the liquidation and withdrawal, Sun claims the bank relied on an undated letter on July 12, 2016, which led to the premature liquidation of Sh. 30 million, where her signature too was forged. Similar letters were presented to the bank on July 12 and October 26, 2016 and were also used to liquidate the remaining Sh. 70 million. She says that although in the account where she had put Sh.50 million she was the sole signatory, Lee forged her signature, wrote a letter requesting the liquidation of the deposit, which was then transferred to a different account. Completely understand. It’s really interesting and more informative. Prime Bank also deliver flexible, efficient and personalised service, ensuring our customers profit from the best. So get in touch with us today.